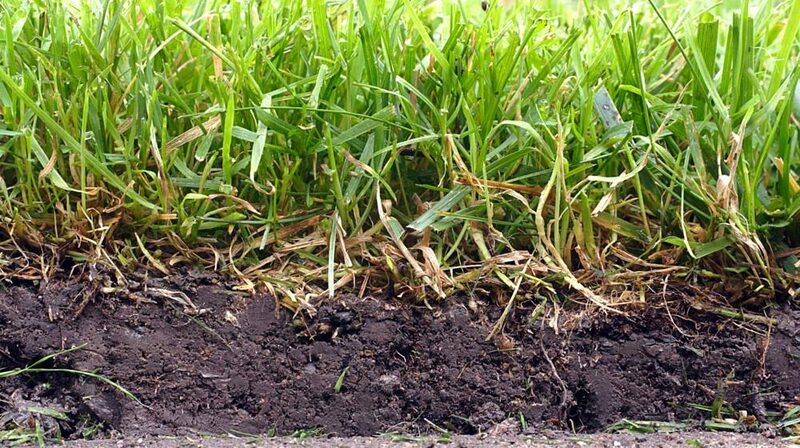 Thatch is a layer of organic matter between the base of grass blades and the soil. 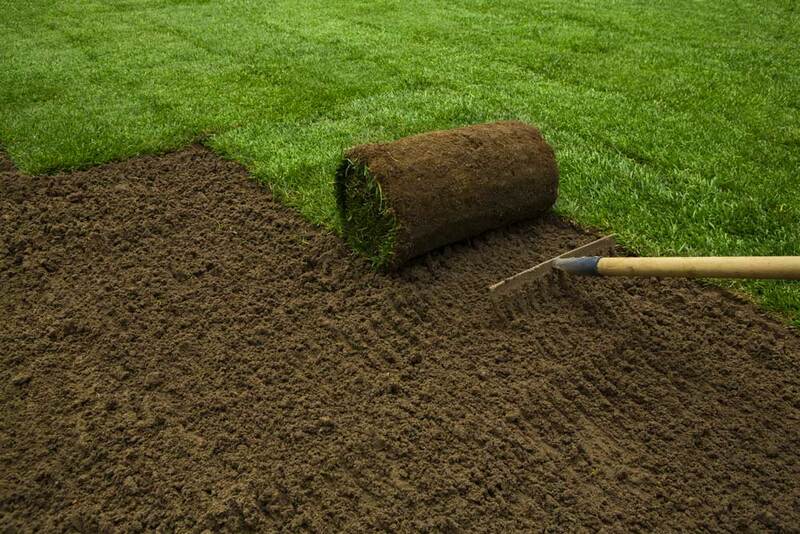 Layers of thatch thicker than one inch prevent air, water, and nutrients from reaching roots in the soil. They can be removed with a power rake or vertical mower. Florida turf grasses must be relatively robust and able to tolerate high temperatures and high humidity. In coastal locations, turf grasses must also tolerate salt air and, often, salt water irrigation. Grasses that meet these demanding requirements include Bermuda, Zoysia, St. Augustine, Bahia, Centipede and Seashore Paspalum. 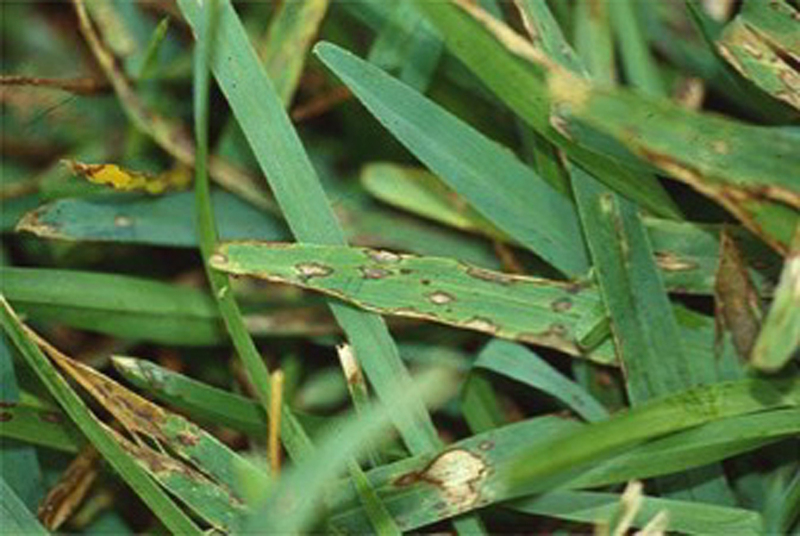 Gray leaf spot is a turf disease that affects St. Augustinegrass primarily during Forida’s rainy, humid summers. Caused by a fungus, it presents in oblong tan spots. Gray leaf spot disease can be managed by watering early in the morning, limiting use of nitrogen fertilizers, and regularly applying fungicides.